WASHINGTON — The last mission needed to complete Iridium Communications’ second-generation satellite constellation is scheduled for Dec. 30, Iridium CEO Matt Desch said today. Iridium currently has 65 Iridium Next satellites in low-Earth orbit, replacing a first generation constellation from Lockheed Martin that launched in the late 1990s. The final launch will add 10 satellites, completing the system of 66 operational satellites and nine orbiting spares. Iridium also has six spare satellites it is keeping on the ground. Iridium initially hoped to complete the Iridium Next constellation in 2017, but manufacturing and launch delays pushed that target into this year. Desch told SpaceNews Oct. 18 that this final mission was pushed back mainly “due to a delay in a specific part that Thales Alenia [Space] couldn’t get to finish the final 10 satellites.” Correcting that issue required Iridium to reposition itself in SpaceX’s and Vandenberg’s launch schedule behind a mid-November launch, he said. Thales Alenia Space is the prime contractor for all 81 Iridium Next satellites. Partner Northrop Grumman Innovation Systems is handling assembly, integration and testing at its Gilbert, Arizona, facility. Desch said the last 10 satellites consist of six operational satellites and four spares. SpaceX has launched the entire Iridium Next constellation on Falcon 9 rockets from Vandenberg Air Force Base. 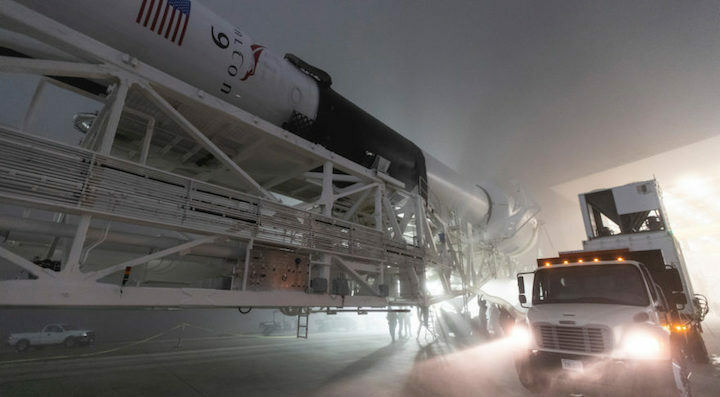 The first Iridium Next launch took place Jan. 14, 2017.